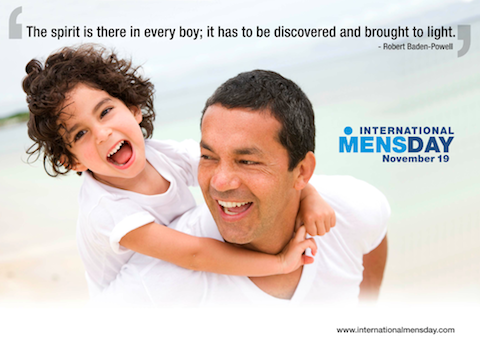 The November IMD is a significant date as it interfaces the popular ‘Movember’ charity event and also with Universal Children’s Day on Nov 20 with which IMD forms a 48 hour celebration of men and children respectively, and of the special relationships they share. 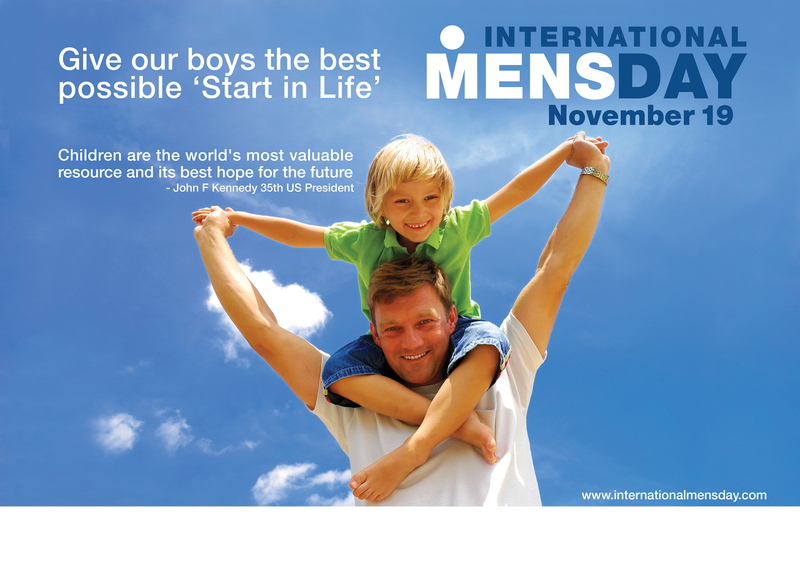 Methods of commemorating International Men’s Day have included public seminars, conferences, festivals and fundraisers, classroom activities at schools, radio and television programs, Church observances, and peaceful displays and marches. The manner of observing this annual day is optional; any organizations are welcome to host their own events and any appropriate forums can be used. This year the theme is Positive Male Role Models. Should you want to choose another theme for your particular celebration you are quite at liberty to do so. This entry was posted in International Men's Day. Bookmark the permalink. For the first time N Ireland has an event on for IMD. Belfast City Council are running the event at Belfast Castle and I have been asked to participate, along with others, by doing a 15 minute talk on men/boys issues. Excellent Peter. Will it be next wednesday? Yes Peter. Another male organised this then the Council took it as their event. They have censored two parts of my talk, but i will ensure the truth is put out there. I will be interested to read your full speach. Maybe you can send it over when it’s done? Yes Peter, I will forward on once complete. I have just been advised that Belfast City Council have prevented a Mens group from participating on Wednesday due to an investigation BCC conducted after complaints from Belfast Feminist Network. They have accused the group of being anti feminist and cant be seen to be creating an event and having speakers who would go against the councils policy on equality !! They have invited Belfast Feminist Network to IMD on Wednesday…. Shocked !!! I wont be censored to appease BFN. The first International Mens Day in N Ireland was a success. Over 100 hundred men, and women, attended with representation from political, voluntary, N Ireland Fire Brigade and others. NI Fire Brigade asked for contact details to pass to colleagues and Salvation Army Social Workers have asked for us to train their staff, and social workers from other homeless hostels around Belfast, on recognising a male victim of Domestic Abuse and how to assist. An excellent day for Mens Aid in N ireland.